So I’m probably they worst scheduler of all time. It turns out that March 29th is actually Good Friday, so we shall have to get together to show off finished Tin Can Knits items on April 5th. Last move, promise! As some of you may know, my design partner Emily has been diligently working on a new lace collection: Handmade in the UK. Emily got her start in designing with the Photosynthesis shawl and has been thinking lace ever since. 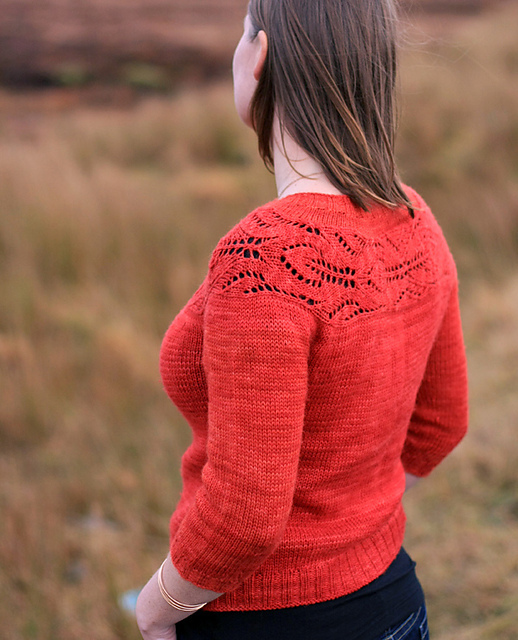 Handmade in the UK will have 9 patterns including 3 garments, all with a dose of lace, it will be released in early May. 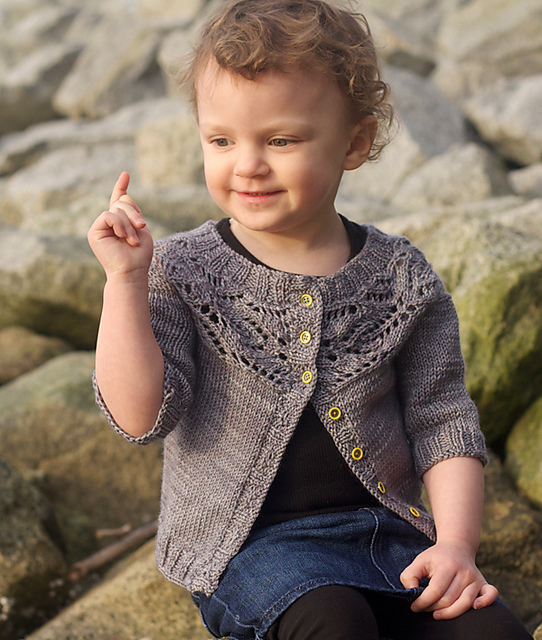 By popular demand she has decided to release her Lush cardigan pattern early! Since I am Emily’s biggest fan I knit up a little Lush cardi for Hunter and we took a walk on the beach so I could snap some photos. Lush is knit in a DK- light worsted weight yarn (I used SweetGeorgia superwash dk) and has an interesting (but not too difficult) construction. Hunter’s wee sweater knit up nice and quick. 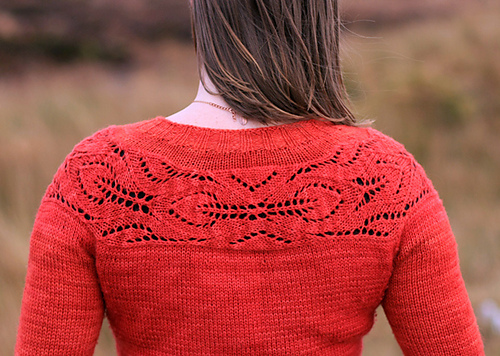 You can find the single patterns at Urban Yarns, it’s just the yarn you will have to decide on! This entry was posted on Monday, March 18th, 2013 at 11:20 pm	and is filed under Uncategorized. You can follow any responses to this entry through the RSS 2.0 feed. Both comments and pings are currently closed.